Another "sweet" post from [eatingclub] vancouver? Wonders never cease! We were watching French Food at Home the other day, and somehow, yet again, Laura Calder managed to make 5 dishes in the space of 30 minutes, including this hazelnut roll. She made this hazelnut roll seem so easy, finishing it in what must have been just the first five minutes of the show -- and that, while wearing what seems to be an uncomfortably tight-fitting outfit. Or maybe the dress was comfortable, who knows, but then my standard of "comfortable" is very high (or is that very LOW? ), as my idea of comfort is a loose T-shirt and pajama bottoms. TS, being the hazelnut-lover that she is, immediately set about making this roll. Good thing this recipe was in her book, French Taste: Elegant Everyday Eating . It saved me the trouble of taking notes while watching the program. She really makes everything look easy. So, even though I had to roast, then peel, then grind the hazelnuts myself, I persevered. To make the cake, I used an electric mixer to beat eggs and sugar over simmering water until the mixture was thick, light-colored and ribbony. Then the ground hazelnuts and a touch of flour were added. Onto a baking sheet the batter went, and into the oven. It only took about 10 minutes to bake. Note: My baking sheet was larger than in the recipe, so it took even less time to cook. Then, I rolled the cake in a tea towel to cool. It looked so cute (meaning: tiny, hehe). This was the hardest part: the waiting! Finally, I whipped some cream with a tiny bit of sugar (I didn't bother with the cinnamon or vanilla) and spread it onto the cake. One final roll, and done! I find it hard to believe that this cake will serve 6 to 8 people. It is not very big and it is a very light cake that one is just tempted to eat more of it. Exactly. The resulting roll was tiny! I think 4 servings is probably the correct number. Of course, that's just me and my gluttonous self talking. If it were up to me, this would make just 1 serving. 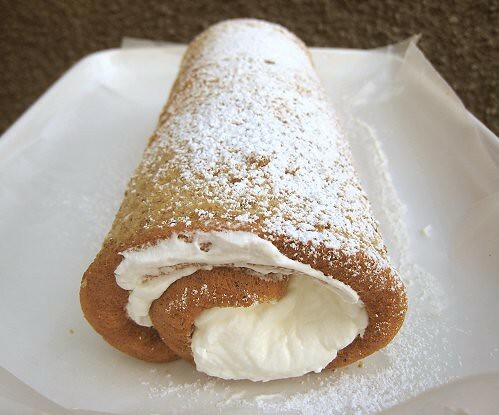 Oh, hazelnut roll. You were so intoxicating with your roasted hazelnut aroma and a full flavor to match. One could definitely eat this in one sitting. Heat the oven to 400F (200C). Butter an 8- x 12-inch (20x30cm) sided baking sheet, line the bottom with parchment, and butter the parchment. Put the eggs and sugar in a glass or metal bowl, set it over a pot with an inch of simmering water in the bottom (do not let the bowl touch the water), and beat until tripled in volume and very thick and ribbony, like cake batter. This will take about 10 minutes. Remove from the heat. Sift the flour and nuts over the batter, and gently fold together. Pour evenly into the pan. Bake until slightly golden on top, 10 to 12 minutes. 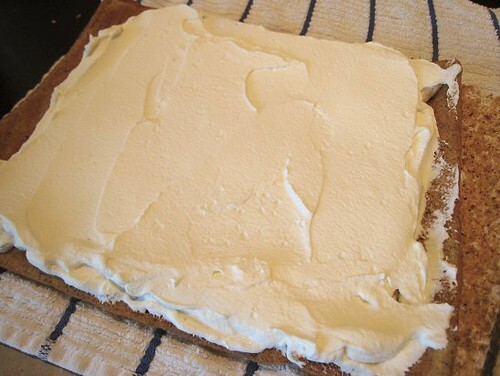 Meanwhile, get set up for unmoulding the cake: lay a damp tea towel on a cutting board or on the back of another baking sheet. 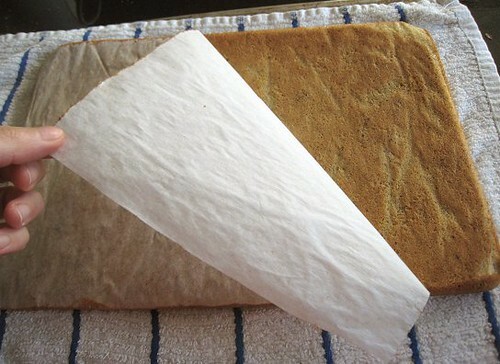 When the cake comes out, flip it onto the towel, carefully peel off the parchment, trip the edges of the cake if you want, and immediately roll it up from the short side, rolling up the towel with the cake. Set aside to cool to room temperature. 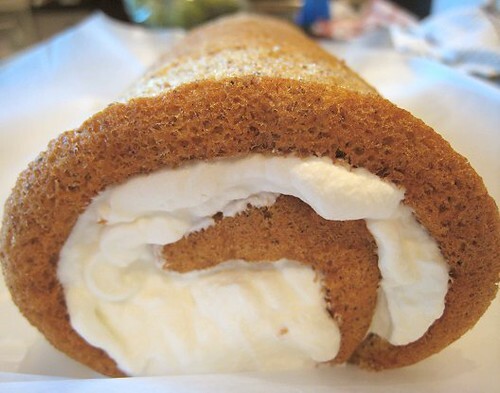 Whip the cream to stiff peaks with a hint of vanilla and a pinch of cinnamon. Unroll the cake, sieve over a light dusting of cocoa powder, spread over the cream, and roll up the cake again, this time without the towel. Set on a platter, seam side down. Sift over a little icing sugar and cocoa powder. Decorate with a button row of hazelnuts. 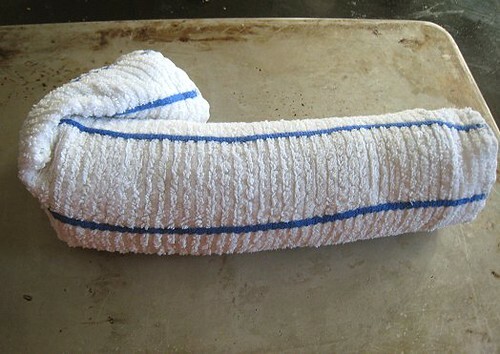 Cover, and refrigerate until serving, which you'll want to do the same day, preferably within a few hours. Sounds yum! What a nice use of hazelnuts! Oh I want a big slice of that right now! A wonder indeed! Do you know you guys made a sponge roll ahead of me? :) Looks fantastic and I'm getting less scared of it! 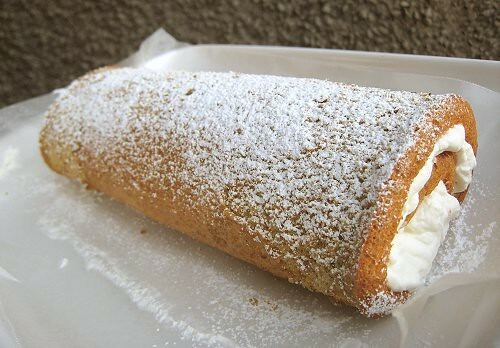 I totally believe you that this can be eaten in one sitting!